While treatment of obstructive sleep apnea (OSA) with continuous positive airway pressure (CPAP) therapy has been shown to be clinically effective, compliance is poor, and as a result, alternative therapies often need to be considered. 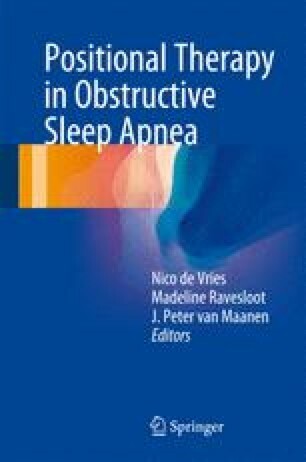 With the recognition that many patients with OSA have positional OSA, where the majority of sleep-disordered breathing events occur in the supine position, prospective studies comparing positional therapy to CPAP therapy in these patients have been performed. The results of these short-term studies, both in regard to sleep-disordered breathing and sleep quality, suggest that positional therapy as a primary treatment can be as effective as CPAP therapy in patients with positional OSA and in those patients who are intolerant to CPAP therapy. More long-term trials that prospectively and quantitatively compare effectiveness and compliance between positional therapy and CPAP therapy appear warranted.